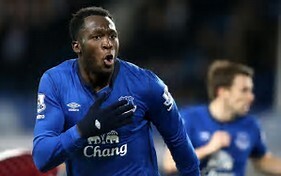 Manchester United have agreed a £75m fee with Everton to buy Romelu Lukaku and are confident of pushing through the deal before the weekend so that the Belgium striker can fly out with the rest of the team to the United States on Sunday. Although Everton sources said there was some way to go for the transfer to be completed, United believe they will secure the second most expensive signing in their history behind Paul Pogba. Lukaku would be United’s second summer signing after the arrival of Benfica’s Swedish centre-back Victor Lindelof for £31m. The club’s manager, José Mourinho, had become frustrated with the lack of progress on signings as he had said early on in the summer that he wanted as many new arrivals in place before they set off for their pre-season tour. The move, if it goes through, will be a significant blow to Chelsea, whose manager, Antonio Conte, had identified Lukaku early on as his main reinforcement up front. The champions, who have been unable as yet to offload Diego Costa, must now decide whether or not to table their own counter-offer to Everton for Lukaku. Reports in Belgium have suggested the Italian has spoken to the Everton forward over recent weeks, outlining where he sees him in his first-team plans and stressing his significance to the side’s approach, and had envisaged the deal being completed before his own squad return for pre-season training next Monday. Missing out on the Belgian would place further strain on Conte’s relationship with the Chelsea board, with the manager having been frustrated to date at the club’s inability to add to his options. The club have seen the likes of Asmir Begovic, Nathan Aké, Tammy Abraham and John Terry depart either on permanent or long-term loan deals, and have only confirmed the arrival of Willy Caballero on a free transfer from Manchester City. Conte, who had infuriated the hierarchy by texting Costa to inform him he was no longer in his plans, has pinned much on Lukaku’s addition, and it will be intriguing to see if the club’s hierarchy now act swiftly to lodge their own bid with Everton for the striker’s services. The alternative options would, ironically enough, be Álvaro Morata – whom United had previously targeted – or the Torino forward, Andrea Belotti, though both know they were always second-choice to Lukaku. United dropped their interest in Morata after the Spanish club refused to lower their asking price of €90m (£79m).